Artisteer is an web designing software tools that help us to build and design a creative blogger template without knowing CSS or Html language. It is the first most prominent online tools which get compatibility with all such popular platform. like Blogger, Drupal, joomla and Wordpress. 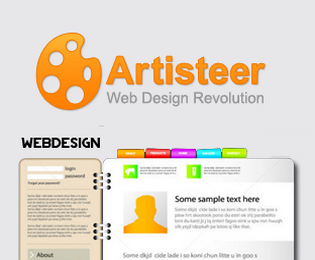 Artisteer software can use to create different templates for different platform. Artisteer is used by so many pro bloggers and webmaster they create thousands of template in seconds by using this software. one of the best and prominent feature of using Artisteer for template customization and building is jut to drag and drop the objects elements. It is the automotive designing tools which work on dragging and droping options. Artisteer is the most reliable and most popular web designing tools which is used world wide by pro webmaster and pro bloggers. There are uncountable features some of are listed here. just scroll down and read some of it best features. Fastest way to build a creative blogger template in a seconds. This is not a rocket science it so simple software through which you can easily build a professional themes by downloading its from here >> Artisteer Download <<.You can download it trial version as well as we can give you a complete Artisteer versions. So after downloading now you will have to install it on your PC. Now go to the downloaded file and click on it to start the installation wizard. Its installation process is so simple and easy just follow the installation wizard guide of Artisteer. After the completion of installation you will have to do the following things by making a successful blogger template. Below are all beginner steps just follow it carefully and try to make your own choice blogger template. To Create a template go to File Menu >> Select one of your required platform. After choosing blogger now you will be able to see some of the major functions & now you will have a simple blogger theme. Now to convert it to professional designing you will use all the custom functions. As we are going to customize its header now you will go and click on header option. just see the screenshot. The Header section consist of several options. It gives us prominent options it incuded width, height, and posting the headers, background and many mores inside blogger template. You may give different mapping to header area by playing with these tools. You might have seen alot of blogger template that usually sidebar on left-side or right-side. Now when you click on sidebar option from the menu. It would provide us couple options. These option allow us to adding two side or changing its layout. We have full rights to customize it appearance. Now its depend upon you if you want a 2 column blogger template then adding the two column option to add in the template if you wish to to have three column template then click on two column option from the right side menu. you may also have one column template by clicking on one column option. There are various options available in this sections which helps us to design and colorize the sidebars. This is a very sophisticated and important sections of blog & website. Every blog template have must post pages inside it. Now how to make it designable & create it by using Artisteer. Now you can easily customize it and give proper designing to post page. Go to click on Article Option from the menu bar. After clicking on it it will provide a list of options through which you could create awesome post page for your template. You can also give different Heading styles, Text, font styles, blockquote & layout of your post area. Background: By using background tools you have full rights to have uploaded image on background. You may also add texture to your background by using the same tools inside this sections. Menu: This option will allow you to make a drop down or single menu for your template. You can customize it and making different styles by clicking on menu button. Layout: You can use this option from the menu tool bar. This option allow us to create a full width or certain width for layout. You can easily add extra object to layout like border, texture and many more by using the same layout option. its located on the top menu toolbar. Footer: This option located from top menu toolbar. This option has limited option. By using this option we can create unique and decent footer area for blogger template. When you use all the above option now you will be able to have a complete blogger template. Now your template is ready for exporting it and upload or applied it on your blog. Remember the saved file would be saved with .zip extension. Hi Guys hope this tutorial will help you alot. We have covered all the related question about how to create a simple blogger template in Artisteer. If there is something missing in the above methods or you know something better then do not forget to leave a valuable comments about Artisteer. Thanks Bro you have asked about best template. Bro i have mentioned the url on google plus checkout there. Those are all premium blogger template. If you have any query then feel free to ask. Thanks Hafeez Bhai for sharing this. I am looking for this for a long time, this helps me a lot! Thanks Dear for liking our jobs. We love to see you here all the time. See you soon. Thanks for appreciations. Amazing tool to create blogger templates. I always like to learn template designing but this tools make it possible. Thanks Hafeez bro to reveal this innovative tool. Thanks Ankit Bro for your nice words & being commenting here with PBT. 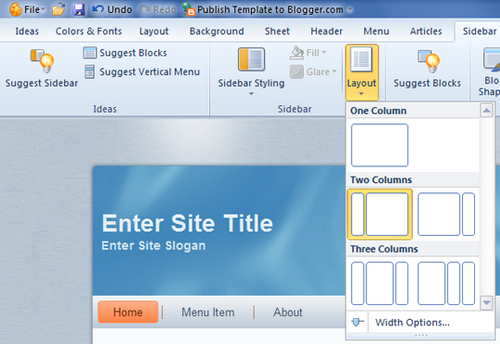 Dear being a blogger users like me and you we should must try to learn how a professional blogger template is created. By using this tools we can easily create a blogger template. Thanks and hope to see you soon here. Dear Asad Thanks for commenting here everyday. You always encouraging us. Thanks and hope to see you forever here with PBT. This tool is undoubtedly an useful tool but suffers from various limitations. It doesn't allow you to fully customize it. The best way to design blogger template is through Photoshop and Dreamweaver. No one has published this method including Mohammad Mustafa of MBT. However, I am looking to publish a detailed post on this in upcoming months. Currently, I am doing lots of experiment on it. Yes Ravi Bro you absolutely Right but this a very helpful tools for newbies. They can easily create blogger template by using artisteer software. There is no need to have a deep knowledge of Css or Html So it may help them. So this was a little tutorial special for newbies. thanks Ravi bro and hope to see again here with PBT. Yes Umesh Dear, Its a very helpful designing tools which help newbies blogger to build a beautiful template without knowing Css or Hhtm in a seconds. Thanks for landing on PBT after a long. Happy to see you here. Hope to see you here again. Yes Rizwan Saharan Brother its really a very nice tools for newbies they can easily create blogger template by using this nice software. Thanks for commenting here. Dude! This Is trial version every image has watermark "TRIAL". So trial version is useless. We must have to purchase this software to use it. Thanks Samad Bro for coming here again. Bro you can easily get it full version in search engine just type its name will full version you will easily get this software. Once again thanks for visiting us. It's great idea and nice to share, now everyone can create it's own template with easy way.. Thank you for sharing a great article ! Thanks for liking artisteer post..
try to create new one. Is it possible to create 2 top menus in Artisteer like you have in your template? I can only see how to have 1. Selecting a Content Management System is extremely essential moving forward. I have used Drupal. Because SinceI found out the most innovative Ivy League schools use Durpal, everything clicked For a development platform I picked GetPantheon including features like Git version control which content management system have you used? Great post indeed.Template designing or editing is very delicate in blogger.Nice post indeed.I am also use blogger.Thank you for sahring.